I should say right up front that I don’t understand this poem. Because I can make so little sense of it, I don’t like it. I have read it and reread it, and broken it down logically and grammatically, and still have reached no satisfying conclusion on the natures of the narrator (a “fool” he calls himself) and the strange, possibly evil woman he “calls his lady fair.” Nor do I understand the various parenthetical statements. It is frustrating. 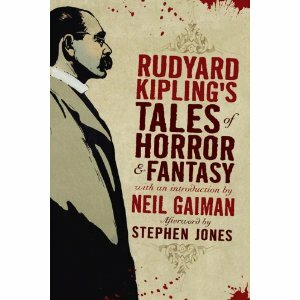 I have yet to figure out who the vampire of the title is, although I am assured that the monster must be there, because the poem is first in a collection entitled Rudyard Kipling’s Tales of Horror & Fantasy, with an introduction by Neil Gaiman (ed., Stephen Jones. New York: Fall River Press, 2010). If you can explicate this poem for me, please do!